Our biannual Clothing & Equipment sale takes place every spring and fall and is open to the public. Shop gently used clothing, shoes, toys, equipment, books, maternity, and more! Double the deals on kid's clothes and gear!! You don't have to be a mother of twins to shop, but our mothers of multiples will have a huge assortment of kids clothing, shoes, toys, equipment, books/games, materinity, and more! All in one big open space and well organized! Remember to bring a large plastic bag or mesh tote to carry your purchases while you shop! ACCEPTING CREDIT CARDS (for purchases $20 and over) AND CASH. Please don’t keep this a secret! Share this with your friends, co-workers, neighbors, teachers, church, school moms, grandparents, and anyone that has kids or grandkids. 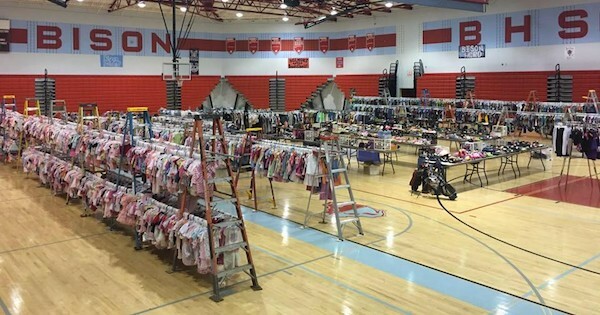 Find more events like "Dayton Mothers of Twins Club Kid's Clothing Sale"
The Dayton Mothers of Twins Club is a non-profit organization founded in 1943 by Ann Franklin. It is designed to meet the needs of area mothers of multiples both socially and emotionally. The new Montgomery County Fairgrounds & Event Center located in Jefferson Township.